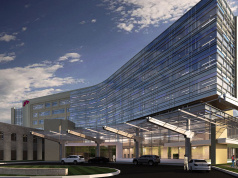 COLUMBUS – Kroger announced yesterday that its bread and bakery facility on Cleveland Avenue is shutting down, effective immediately. The plant closure will effect 411 employees, and the plant produced annually, 130 millions of baked goods a year. 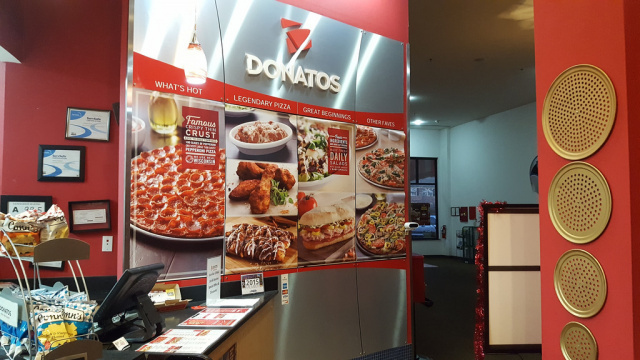 Donatos a Columbus Ohio founded pizza company says, were hiring! 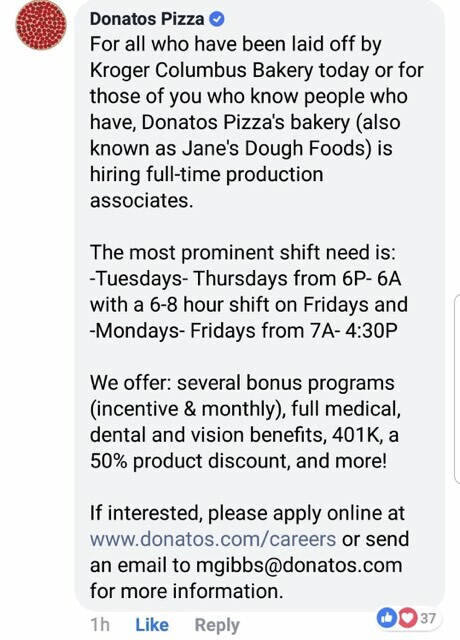 In a facebook post the company posted that if you know someone who was laid off by Kroger Bakery today or for those of you who know people who have, Donatos pizza and bakery (also known as Jane’s Dough Foods) is hiring full time production associates. Donatos said they offer several bonus plans, full medical dental and vision benefits, 401k and 50% product discount, and more.